Light, easy-moving comfort for the field. 4 Jackets, 1 low price! 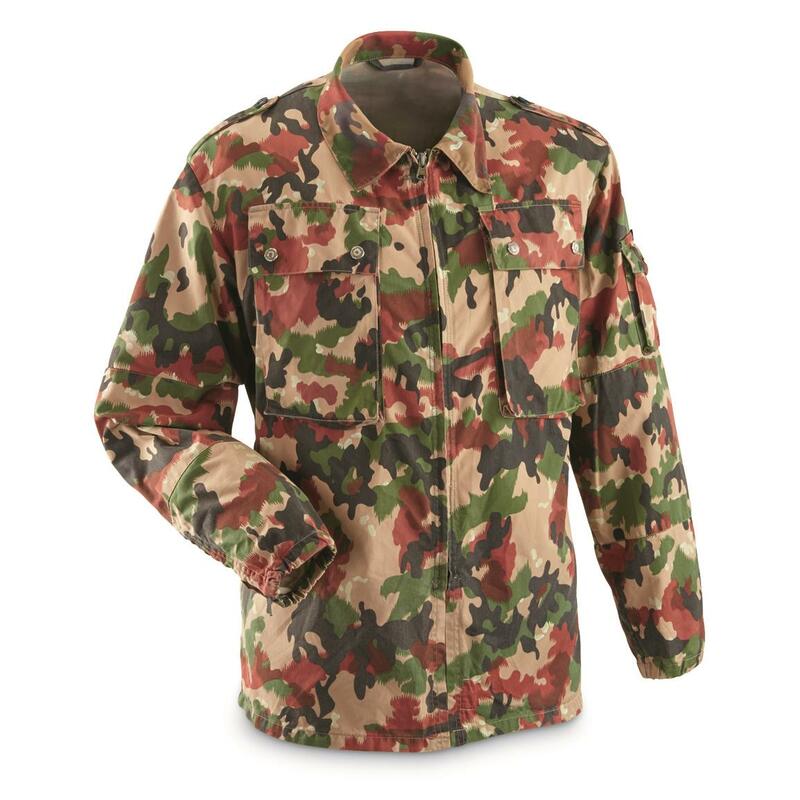 As seen worn by members of the Swiss Land Forces during rigorous alpine defensive exercises. Take the chill off a crisp fall day, or use for layering as part of a multi-temp custom ensemble. Decked out in cool Swiss Alpenflage (technically TAZ 83 pattern), a 6-color mountain pattern similar to the rare 1945 German Leibermuster. Gently pre-tested by Swiss troops, ready for action in a variety of terrain. Our surplus buy means you get 4 Jackets for 1 low price! High-mobility action meets killer military style. Get yours!